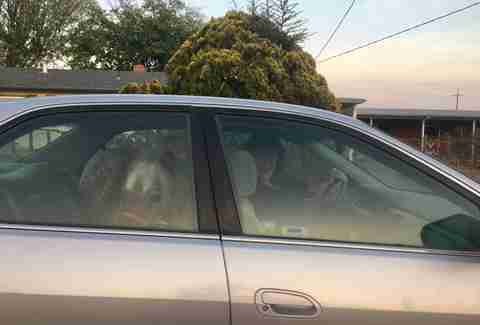 Miniature horse Stardust typically has plenty of room to roam around his Northern California home, so it came as quite a shock when he suddenly had to squeeze into the back of a sedan. Thankfully, carrots made for a tasty — and convincing — bribe. On Monday, Lauren Mesaros, a registered nurse at University of California San Francisco (UCSF), got the call to evacuate when her Santa Rosa property was threatened by wildfire. With mere railroad tracks standing between her home and the Tubbs Fire, Mesaros knew she didn’t have long. But evacuating her pet horses, Gypsy, Connie and Stardust, proved difficult. “She got her two mares in her trailer, but Stardust didn't fit,” Cindy Mesaros, Lauren’s sister-in-law, told The Dodo. 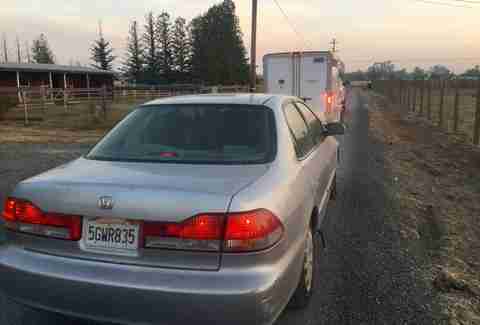 With no other transportation available on such short notice, getting Stardust into Mesaros’ 2001 Honda Accord became a matter of life and death for the small horse. 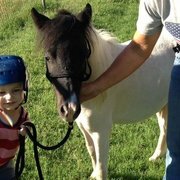 With the help of neighbor Carol Spears’ "horse whisperer" powers, Lauren was able to lure Stardust into the back of her car with a carrot, Cindy Mesaros noted. “He went right in like a dog!” she said. 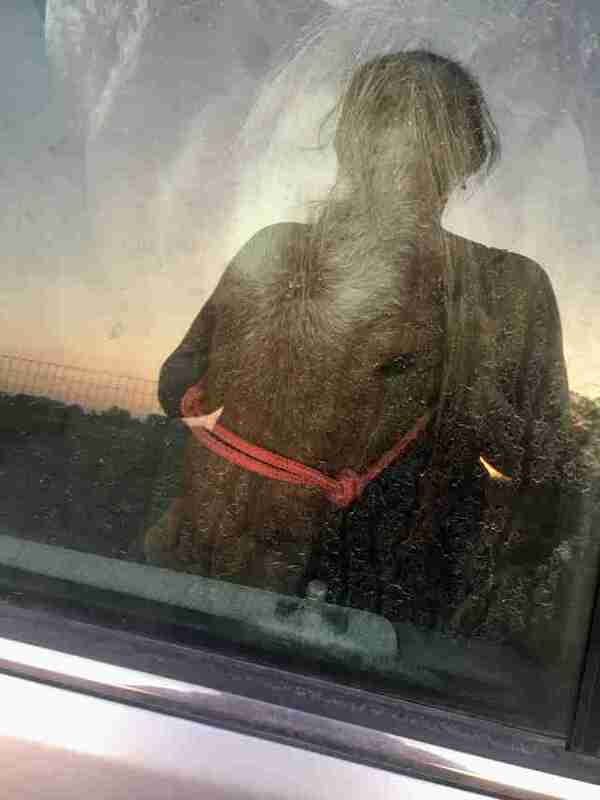 Before driving off, another neighbor snapped a photo of the unhappy pony sitting in the car, and Cindy Mesaros posted it to her Facebook page. The photo’s social media attention has even reached the car’s maker, who has offered to help with the cleanup. “Honda responded to my social media post and they're sending something, and the local Honda dealer called about planning a fundraiser,” Mesaros added. Stardust may be back at home now, but things have not quite returned to normal.